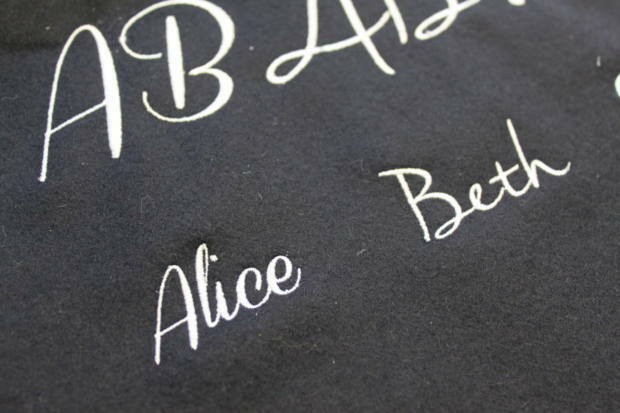 Hawthorne & Heaney have expanded our machine embroidery options and introduced a new range of fonts to our stock this year. We now offer a much more extensive collection to chose from, which are separated into 6 families. 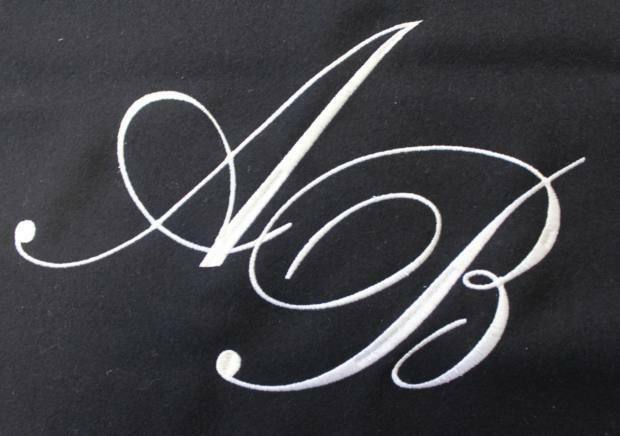 Block and Serif fonts are perfect for monograms and initials. 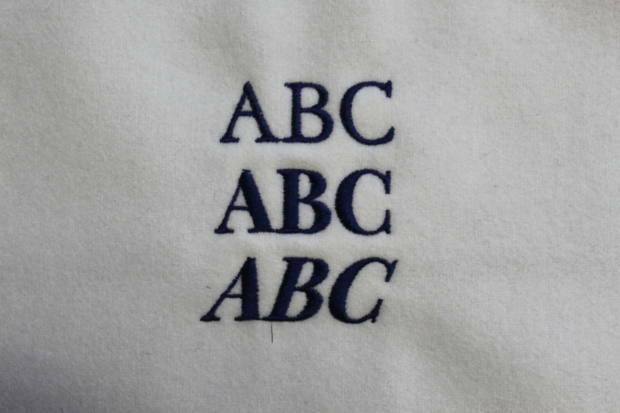 Block fonts tend to create a more clean cut, simple finish that looks great on a pair of jeans, whereas Serif fronts are more classic, perfect for a shirt or the lining of a suit jacket. The curved, overlapping lines of our Script and Fancy Script fonts make for much more elegant, luxurious finishes and look beautiful when arranged as a half-drop design, as seen in the ‘fancy script’ example. Our ‘handwritten’ selection of fonts are perfect for making something personal, and look fantastic when used for small messages and names. 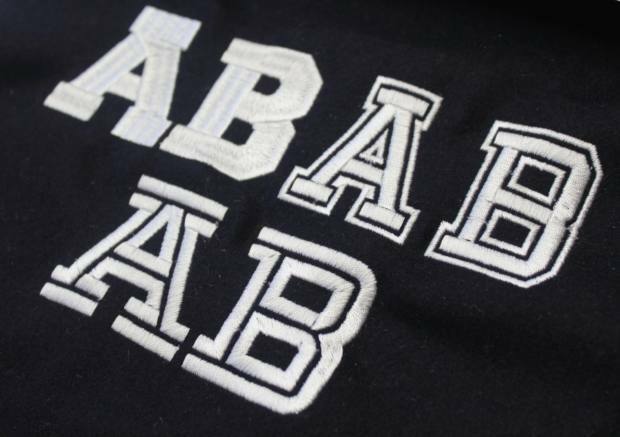 If you’re looking for something bigger and bolder, then our Varsity fonts are just that! 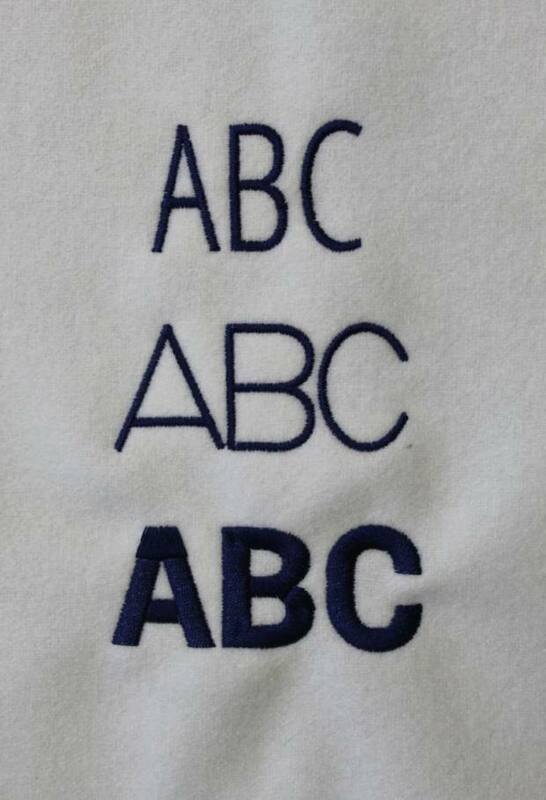 These American inspired letters look great in all sizes, and are fantastic for small initials, and large, punchy words. At Hawthorne & Heaney we aim to provide a wide variety of typography options to chose from that are both modern and classic. For a full list of all our available stock fonts, please get in touch.